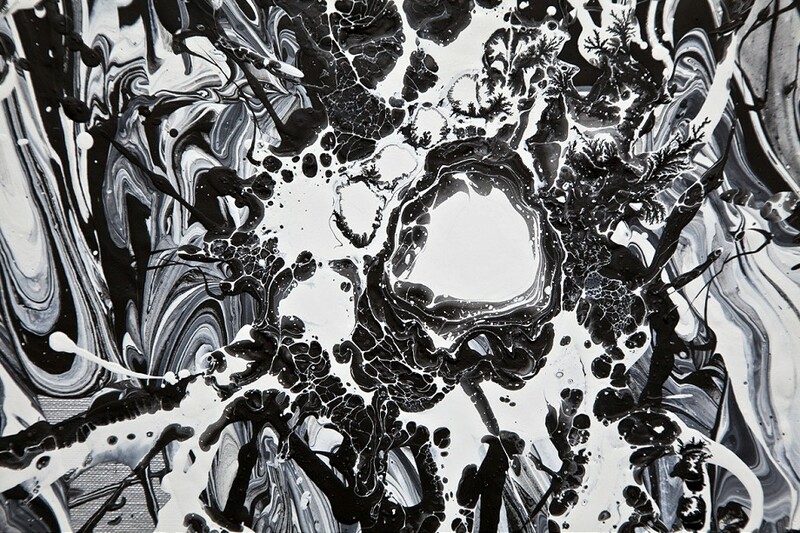 Circle Culture Gallery in Berlin is currently showing Stendhal Syndrome, a solo show by the Icelandic artist Katrin Fridriks. 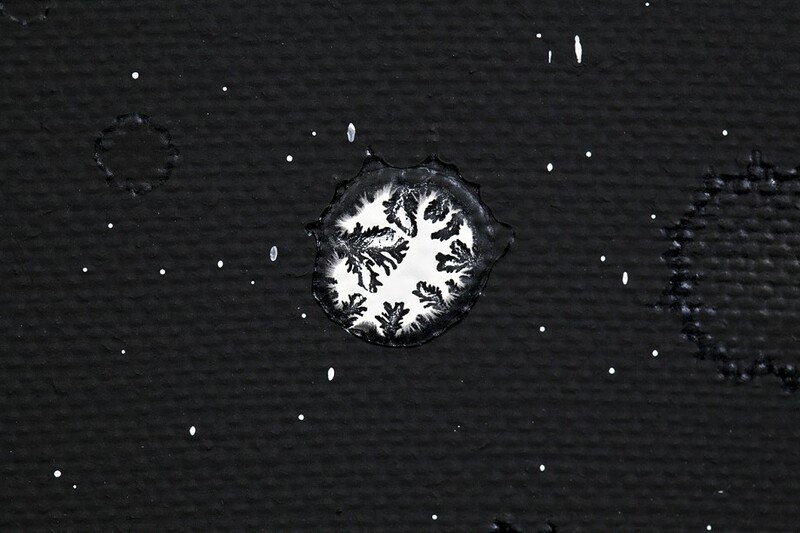 The title of the show comes from the series of works she has been producing as her visualization of “a psychosomatic disorder that causes rapid heartbeat, dizziness, fainting, confusion and even hallucinations when an individual is exposed to an experience of great personal significance, particularly viewing art“. 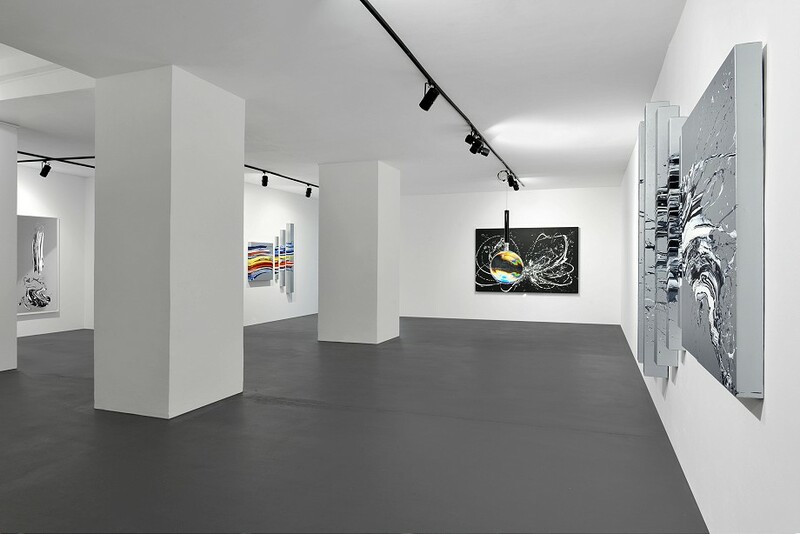 The theme has been elaborated through the exhibited works and the overall setup, but most of all, through a captivating main installation of the show including a large canvas work that can be examined through a custom made magnifying glass. 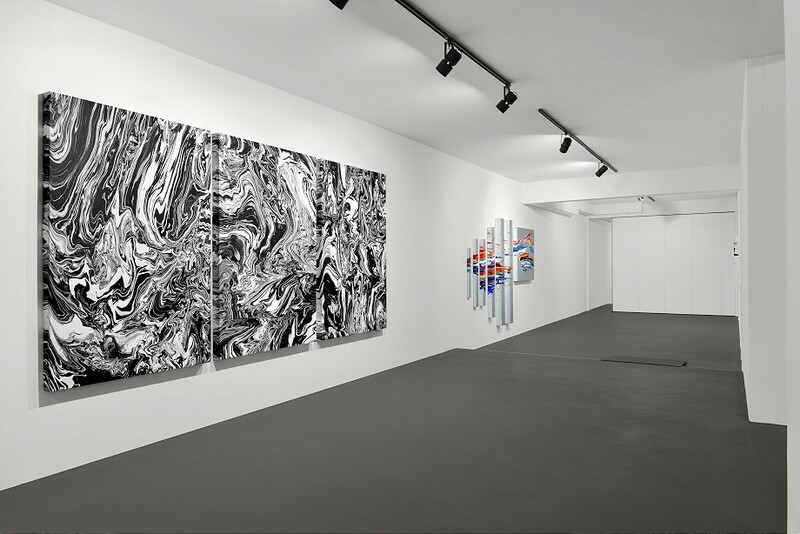 Perception of the Stendhal Syndrome vs. Gene&Ethics – Master Prism is a complex installation that enables the observer to explore the infinite macro view of Fridriks’ abstract paintings. The idea of creating a large magnifying glass has been in the works for almost 8 years now, and it finally materialized for this show. 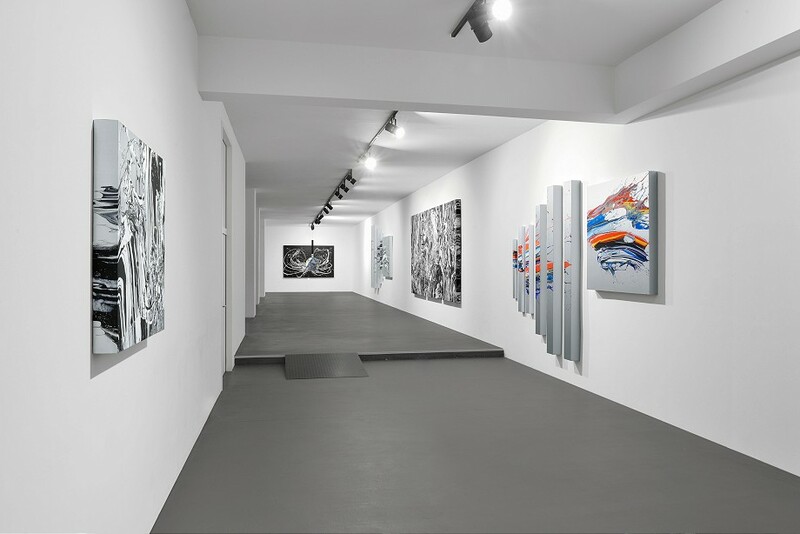 Emphasizing the effect of her unique painting process and adding numerous new perspectives to her works, this conceptual installation is a centerpiece around which the rest of the show was produced and arranged. 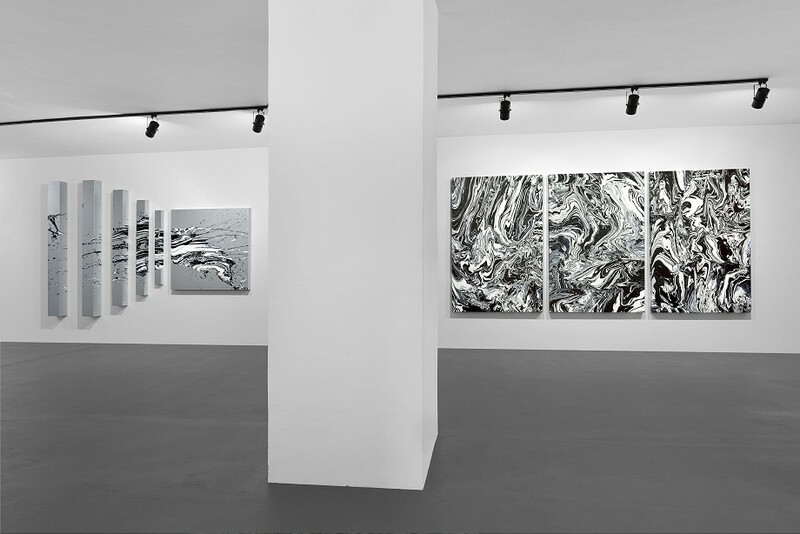 The idea of Stendhal Syndrome as a whole was to induce the feeling of overwhelming and awareness with the observer, and this installation, combined with both the amount of work as well as their size and complexity, make this show feel more like a museum than a gallery setup. 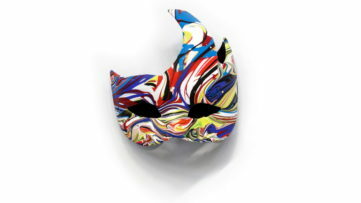 The importance of this particular installation for the artist is emphasized through the fact that she will be exhibiting it at the Palazzo Bembo during the 56th Venice Biennale next year. 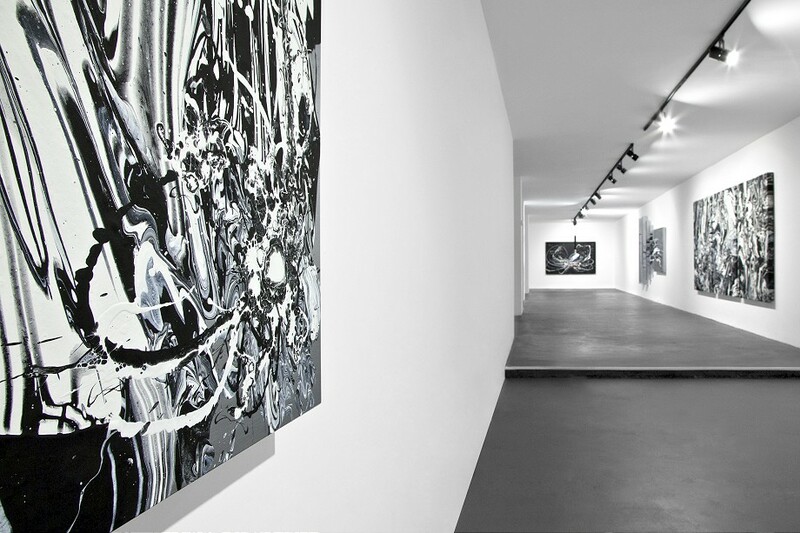 Measuring the impressive 500x230x10cm, Space Syndrome is a large black and white triptych that Fridriks created for this landmark show. 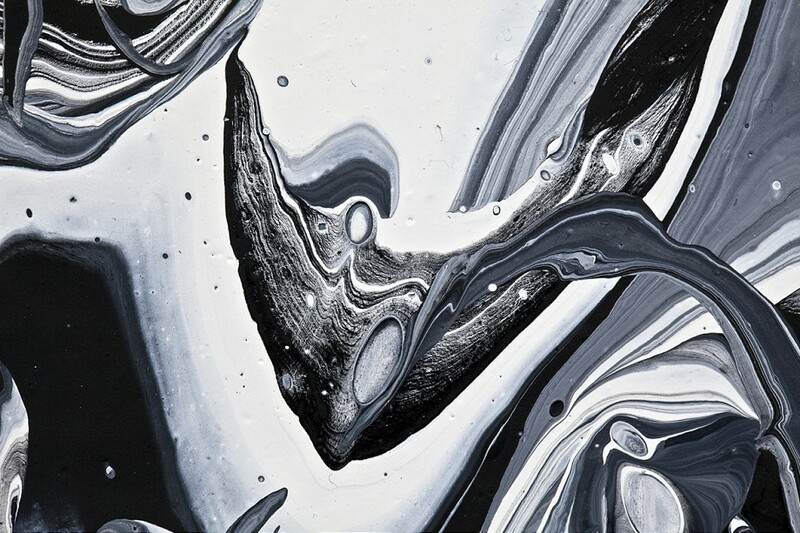 First of their kind, looking like enlarged close up images of her other works, these large canvases are completing each other, and are an example of how far her production process has evolved over the years. 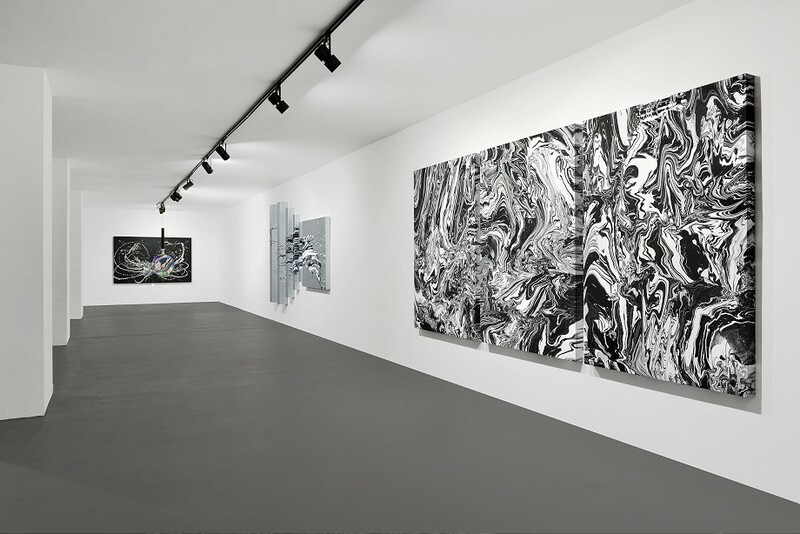 Creating such large works was only possible after Fridriks mastered her technique and created a studio in which production of such large works would be possible. 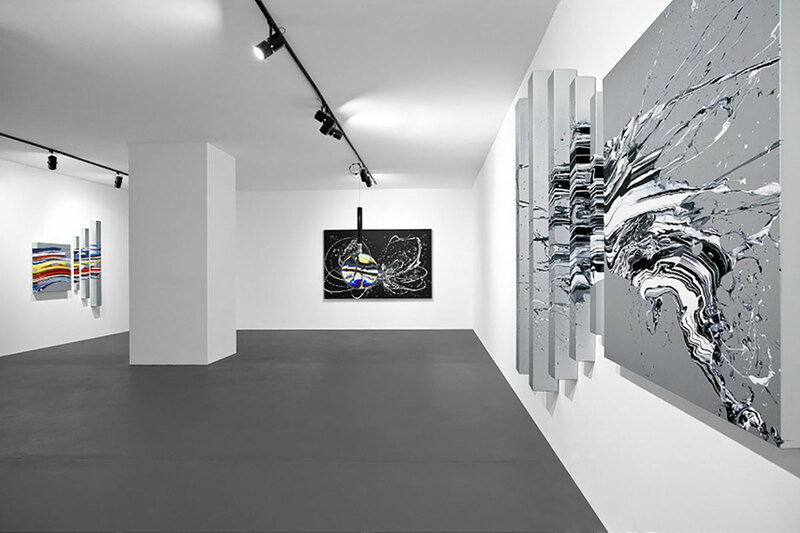 Having an effect of a focus black hole, that absorbs observers attention, this installation typifies the size of the works as well as the color palette used for the show – with only two color works, this is Katrin’s most monochromatic exhibition to date. 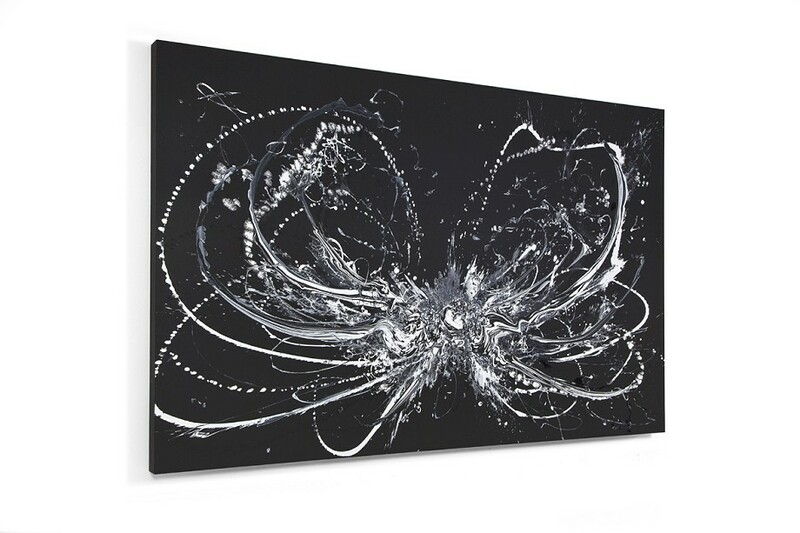 This is further highlighted with the introduction of her first black and white piece from Riding Awareness series – Icelandic Sky-Walk, displayed next to this large triptych. 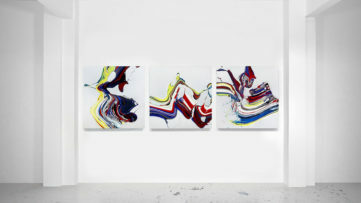 Being one of two colored installations from the show, both from Riding Awareness series (Noble Eye-Catcher and 3 Noble Messengers), this installation is another important part of the show. 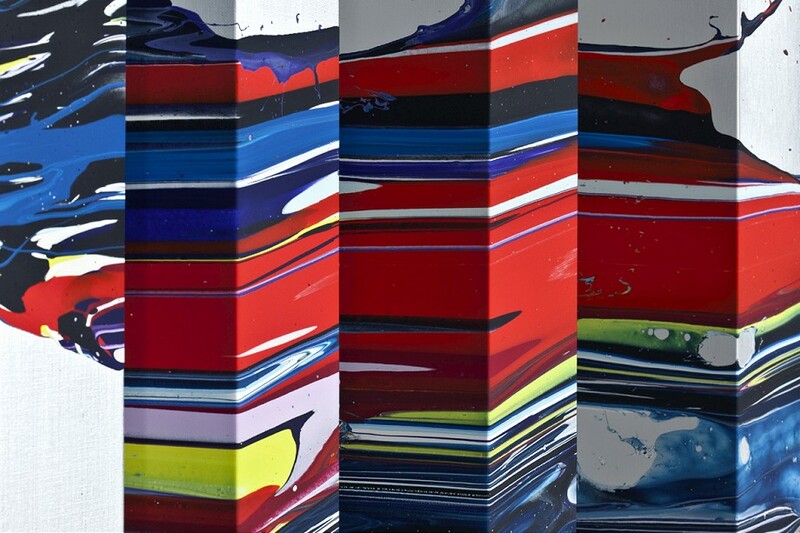 Constructed of 4 pieces totaling 200 x 220 x 14 cm, this work will be featured in Just Painted (Contemporary Painting In Iceland) group show at the Reykjavik Art Museum next year. 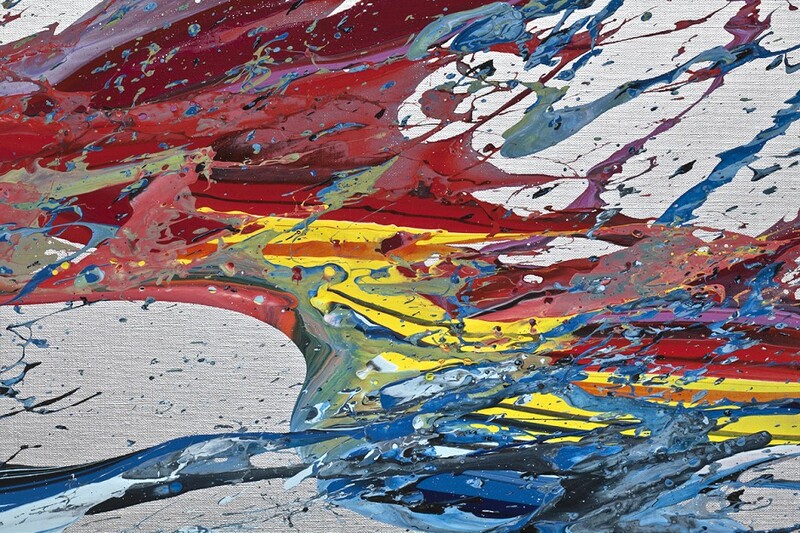 Representing one of the most popular series of her works, Noble Eye Catcher is a colorful installation painted over custom canvases of different size and depth, making it almost a sculptural piece. 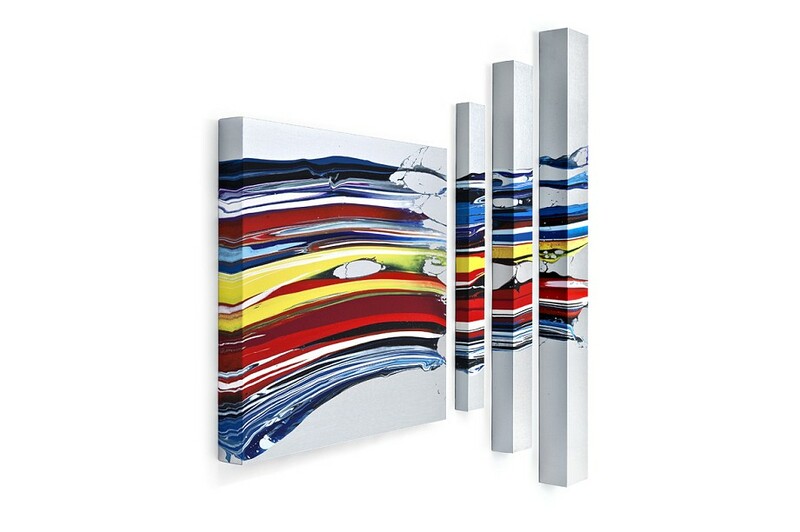 The contrast between the flowing bright colors spreading over these silver coated canvases makes it look almost alive and still moving, inducing a feeling of uneasiness and awareness. 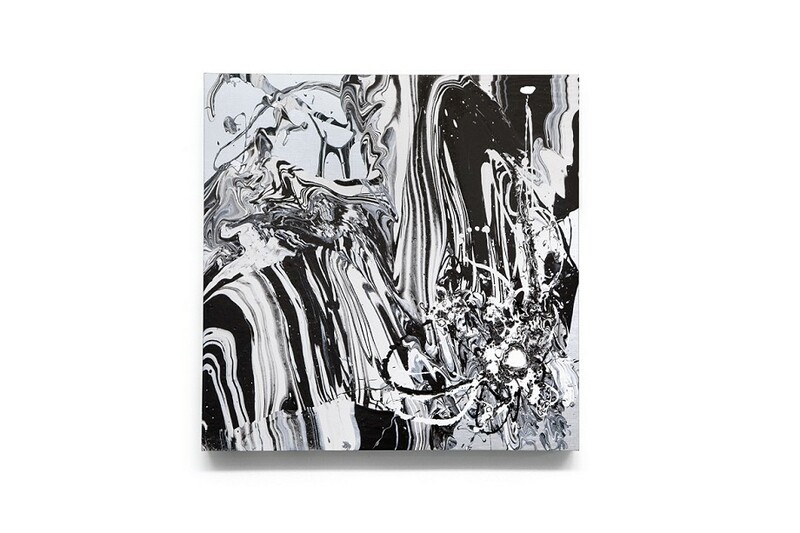 This landmark exhibition will be the main part of the upcoming Katrin Fridriks monograph that will be released through Skira publishing next year. 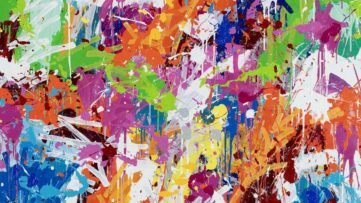 The book will be focused on the last 13 years of active art making, with a strong focus on this show and the works that will be showing at Reykjavik Art Museum and Venice Biennale. The release is scheduled for May 2015 in Europe and fall 2015 in US and the rest of the world. 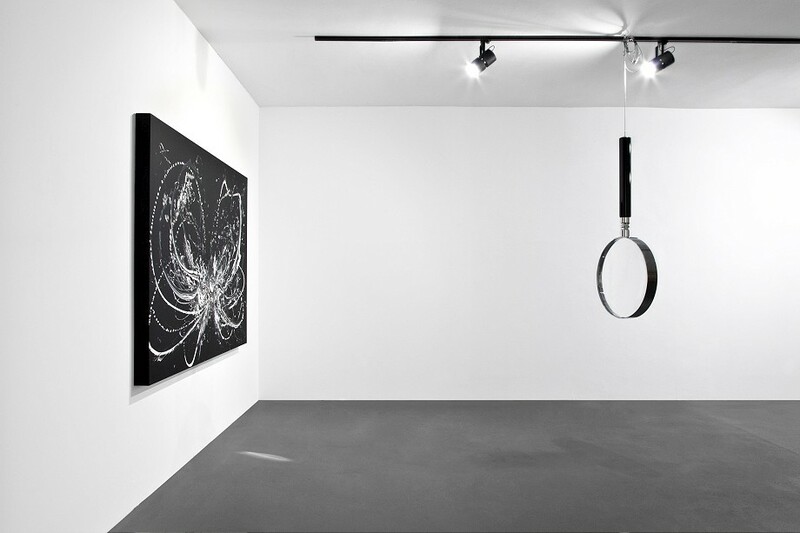 To never miss any exhibition shots at your favorite gallery – Sign up to My Widewalls.